Capture ALL the hearts – or at least the ones on your screen – with ViewSonic and AVerMedia! Enter for a chance to win a red-hot tag team duo of powerful peripherals: a ViewSonic XG2402 Gaming Monitor and an AVerMedia Live Gamer Portable 2 PLUS. Whether you're looking to play on a buttery smooth 144Hz gaming display, or capturing sweet 60fps gameplay footage, you're covered on both fronts. The more points you rack up, the greater your chance of winning! We will select two winners from all entries at the end of the VIEWSONIC X AVERMEDIA LEAVE NO HEART UNCAPTURED contest period (contest ends 2/17/2019 at 11:59pm Pacific Time). 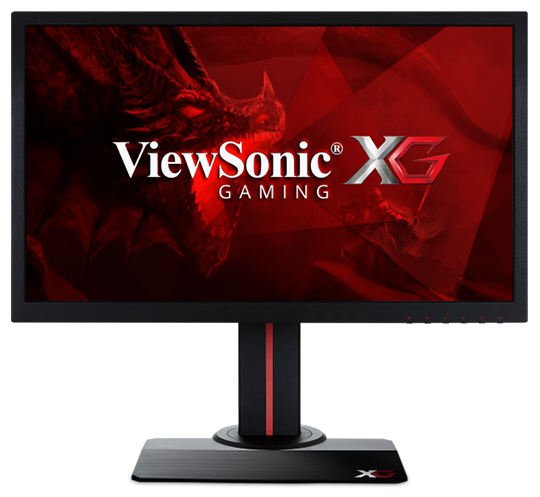 The ViewSonic® XG2402 is a 24” Full HD monitor packed with all the speed and features that diehard gaming enthusiasts need. Featuring an incredible 144Hz refresh rate, as well as AMD FreeSync™ technology, this monitor’s variable refresh rate capabilities virtually eliminate screen tearing and stuttering for fluid gameplay during fast-paced action scenes. A blazing-fast 1ms response time and low input lag provides smooth screen performance even in the most graphic-intense sequences. For a game-winning competitive edge, a Game Mode feature optimizes visuals for FPS, RTS and MOBA. On top of that, a customizable 22-level black stabilization function helps you target enemies lurking in the dark, while the monitor maintains brilliantly rich colors and contrast. With a gamer-inspired ergonomic stand that features an integrated headphone hook and cable management functionality, the XG2402 has all you need to conquer your gaming and entertainment quests.